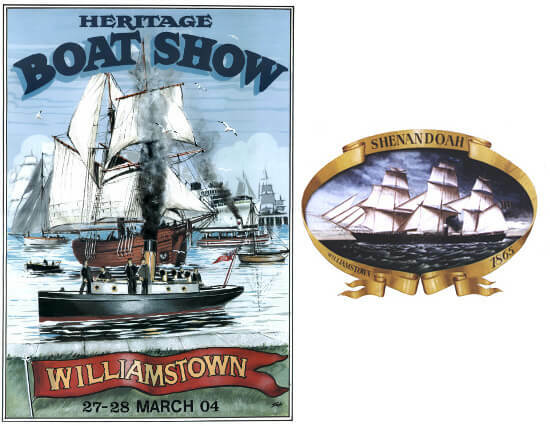 The Williamstown Maritime Association (WMA) is a not-for-profit body that was set up to establish a working maritime precinct, Seaworks, on the old Port of Melbourne Authority site in Melbourne’s historic port of Williamstown. The WMA established the famous Pirates Tavern in 2003 when a small band of maritime enthusiasts from the Shenandoah Society met to discuss holding a wooden boat show at the site. With Parks Victoria approval, a massive volunteer clean-up effort took pace. The first Boat Show took place in early 2004 under the leadership of Leigh Goodall. Then-Premier Steve Bracks gave his endorsement to the event, and encouraged Parks Victoria to work with the WMA. A second Boat Show followed in 2005, for which the WMA transformed a derelict shed into the fully licensed Pirates Tavern, built entirely by volunteers. Over one hundred thousand dollars had been raised for improving the site. The WMA has proven itself to be a unique community asset, locally as well as to Melbourne itself. The Seaworks Foundation was initiated by the WMA to oversee management and development of the site, and the WMA works closely with the Foundation. To this day the WMA still promotes the vision set out a decade ago for the development of the site. Our aims and objectives are as relevant today as they were then. David has been a WMA member since 2008 and his love of music has seen him become our co-ordinator for the bands that play at the Tavern. As well David is an accomplished classic guitar player and has recently had great success after teaming up with Patsy Toop to form the duo The Long and Short of It. David is a member of the Williamstown Sailing Club, a keen fisherman and is passionate about preserving our maritime history.